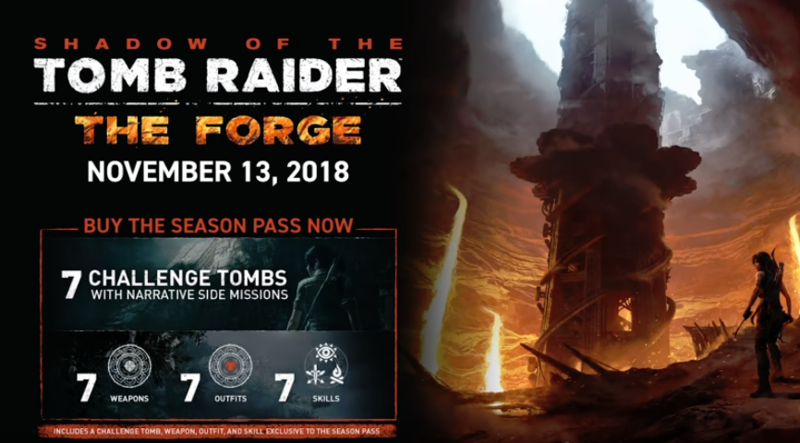 Shadow of the Tomb Raider is getting its first piece of DLC as part of the $29.99 season pass. Called The Forge the DLC will provide a new tomb to explore and a new cooperative option. Eidos Montreal has released a new video detailing the option that uses the cooperative elements to access new areas. A speed run mode will be added that requires players to be in sync with each other's movements to achieve top scores. Shadow of the Tomb Raider is now available for PC, PS4, and Xbox One. Check out our review here. The Forge launches on November 13th.